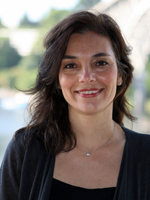 Haleh Ghanizadeh, M.D., M.P.H., is Board Certified in General Adult and Forensic Psychiatry. Experienced in providing administrative and psychiatric services in city, state and federal prisons and jails, she currently consults to prison systems, state organizations and public schools in the areas of assessment, staff training and program development for emotionally and behaviorally challenged youth and adults. She trains and consults individually and for Behavioral Tech, LLC, and has a private practice in Wilton, CT. Her special areas of clinical expertise involve providing Dialectical Behavior Therapy and pharmacotherapy to teens, adults and their parents, when trauma, impulsivity, depression and anxiety are prominent.